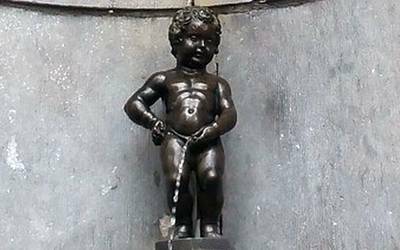 Although small, the statue of Manneken Pis has a worldwide reputation that makes it one of the symbols of Belgium. It is rather a traditional symbol, guarantor of the history and the authenticity of this people. 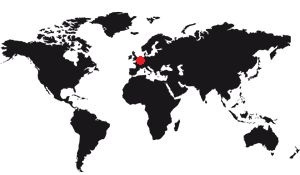 Unlike symbols like the atomium or the European Council, which are rather symbols of modernity. The reputation of this statue comes from its history that can be described as old. The Manneken Pis is a statue that was designed in 1619 by Jerome Duquesnoy the Elder (1570-1641), then melted and set up in 1620. But it was replacing another much older identical statue, one can therefore consider that it enters the history during the first half of the fifteenth century since it has a trace in 1451 and 1452, in documents listing the fountains of the city. There is mention of a "Manneken Pis" on Oak, just before the crossroads of the rue de l'Etuve, roughly at its current location. It is placed at the top of a column about 1m20 high and its jet falls into two large rectangular basins. We know its interest since it is sanitary: During the Middle Ages running water existed only publicly, it was necessary to recover it in fountains made available to the population. The city was covered with canals bringing clear water from nearby rivers, but to get the water easily it needed fountains, hence the need to identify them. At that time she had an important utilitarian role. As for its original form, it comes directly from the Middle Ages tradition of manipulating irreverence. The carnivals were there for that, moreover, but it was only the visible and excessive part of the irreverence, the truth was in the acts of the everyday life and it was very pregnant in the medieval society. This statue of a child urinating in front of the public entered these colorful representations. From this 15th century statue, nothing remains to us. We know that she was in stone. It was redone identically in 1620 and bronze following an order from the previous year to replace the previous one. The city asked the Brussels sculptor Jerome Duquesnoy to redo it, which was done, set up in 1620. We know the cost of work: 50 florins Rhine. The running water only arrived in the houses from the late nineteenth century, its interest was identical to the previous fountain. For the installation we demolish the column and basins that are rebuilt in a similar way. But it seems that it is temporarily because in 1697 one finds the fountain with its current location, at the corner of the Rue du Chêne and the oven, a few meters farther than where it was. 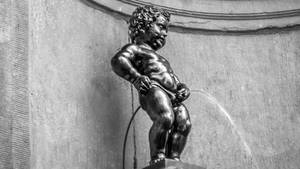 In 1695 Governor-General Maximilian-Emmanuel of Bavaria offered the Manneken Pis an outfit. It was not the first time that it happened, but it was the first time that a high-ranking person was symbolically giving a coat to this statue. This can be interpreted as the fact that she obtained a status of representative of the local population, which will be confirmed later by adding clothes over the years. Besides, Louis XV offered a gentleman's dress. It was a political gesture, the king of France having tried to recover the statue for his benefit, he had attracted the wrath of the population and had to make this symbolic gesture to appease the spirits. The shape of the fountain evolves definitively in 1770, when it loses its two basins and its column for a protective stele in the shape of shell Saint Jacques. From the top of his new perch, the little boy is urinating directly into a gutter, allowing the population to recover water, for example with buckets. 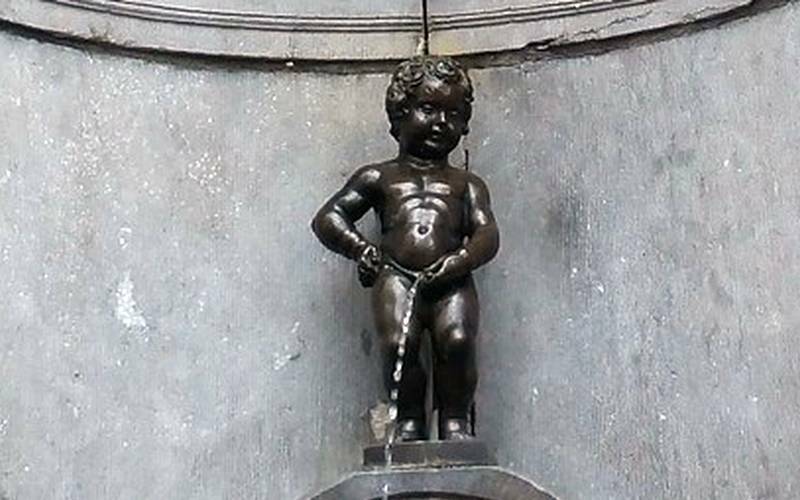 In 1817 the Manneken Pis was the subject of a flight followed by a serious degradation. He was stolen by a certain Antoine Licas who, during his flight, broke the statue into 11 pieces. Caught up, he was severely punished. The pieces were recovered and the statue could be restored thanks to the skill of the sculptor Gilles-Lambert Godecharle. The bronze base that we are currently seeing dates from this repair. From the middle of the 19th century, running water began to arrive in houses and buildings. The role of the fountains is not as important as before. The fountain is then protected by a heavy grid (in the middle of the 19th century), then a blue stone basin is built (at the end of the 19th century). The Manneken Pis had found there its final appearance. But this is not the end of its history because if there was no longer any motivation for improvement or change of any kind since the late nineteenth century, it was stolen by many times! The last, in 1966, was too much. It was found quickly but broken at the ankles. The municipality had it repaired but instead of putting it back in place he had a copy made in his place. The original is now at the Museum of the City of Brussels, on the Grand Place. So the Manneken Pis presented to the public is only a copy of the original.